It is available for 46500 Euro. Engine/driveline: Euro 4, displacement: 10520 cc, engine cylinders: 6, 440 hp, gearbox: manual, transmission: Schaltgetriebe, 16-Gang, power take-off. Wheel formula and suspension type: suspension: spring, front axle suspension, 8x4, steering axles, wheel base: 1800 mm, central lubrication, front tires: 315/80R22.5, rear tires: Achse 1: 315/80R22.5 / Achse 2: 315/80R22.5, dual wheels. 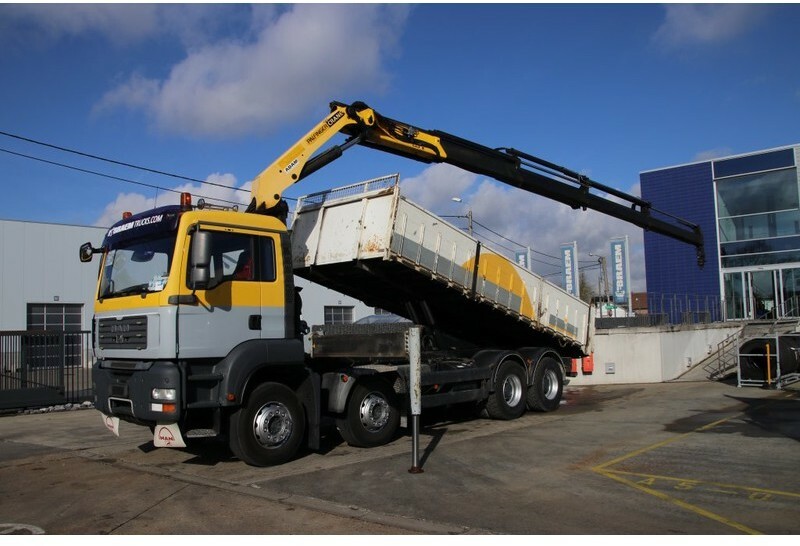 Body: loading length: 6500 mm, loading width: 2450 mm, loading height: 900 mm, rear tipper. The payload is 16400 kg. The mileage is 441268 km.